This is a very good for value property with only a road separating it from the sandy beach. 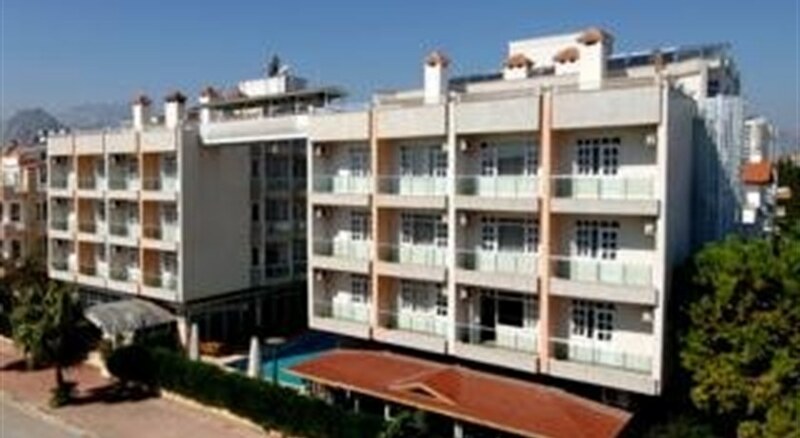 (06/08 SB) LocationThe hotel is located at the Konyaalti beach of Antalya. It is only a short drive away from the town center. 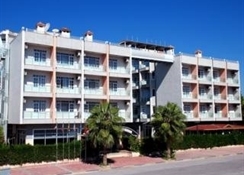 Distance1 kms to city centre14 kms to the nearest airport (antalya airport) RoomsAll the rooms are medium sized and enjoys a fantastic view of the Mediterranean sea. All the rooms have balcony, satellite television, music broadcasting, mini bar, safe deposit box, air conditioning and private shower room. RestaurantThe restaurant is spacious, serving local specialities in an open buffet style. Some evenings the hotel organizes special Turkish nights with dance shows. There is also a bar by the pool side. ExteriorThe hotel consists of two block linked by the reception area and a solid bridge linking the two blocks from the roof. LobbyThe lobby is medium sized with a small reception desk and ample of seating area adjacent to it. 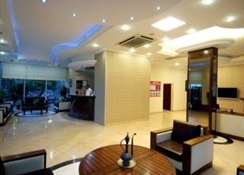 Fully renovated in 2010, this city hotel is built in 2 blocks and comprises a total of 64 rooms. Facilities on offer include a restaurant with both indoor and outdoor seating and a lobby bar. Internet access is available throughout the hotel. The pleasantly furnished rooms have laminated flooring and are equipped with amenities including air conditioning and Internet access. En suite bathrooms, and either a balcony or terrace also feature in all units. The hotel has an outdoor pool and a children's pool, and for those who care to enjoy some light exercise, table tennis is available. There is a poolside snack bar and a sun terrace with sun lounges and parasols laid out ready for use.